Every small, mid and large organizations depend on Microsoft Windows for their day-to-day activities. So, any interruption on their data center will lead to huge loss for business. Hence, business continuity is very essential for these Microsoft Windows driven organizations. Hence, Vembu has developed the comprehensive backup and disaster recovery solution with RPO and RTO less than 15 minutes for Microsoft Windows environments. Vembu offers simplified Backup and Disaster Recovery solution to backup Windows Servers and Workstations running in physical IT environment. It does a backup of full physical Windows servers, Desktops and Laptops including operating system, applications and data. Near Continuous Data Production – Option to run image backup job every 15 minutes to get RPO (Recovery Point Objective) less than 15 minutes. Quick VM Recovery – Backed up physical image can be booted instantly in VMware, Hyper-V and KVM environments without any manual driver injections or conversion tool assistance. Bare-metal Recovery – The entire system image backup data can be restored to same or new hardware using Vembu Recovery CD. Instant File Recovery – Individual files and folders of the Windows Servers and Workstations can be instantly restored from system image backup without restoring the whole machine. Partition Level Recovery – Recover selected volumes or disks alone to the same or different machine. VM Migration – IT Admins can easily download the backed up physical machine data to various file formats as per the requirement like VHDX, VHD, VMDK, VMDK-FLAT and IMG. Later it can be used to migrate the physical machines to VMware, Hyper-V or KVM. Vembu offers backup solution to backup individual files, folders and applications from Windows Servers, Desktops and Laptops. 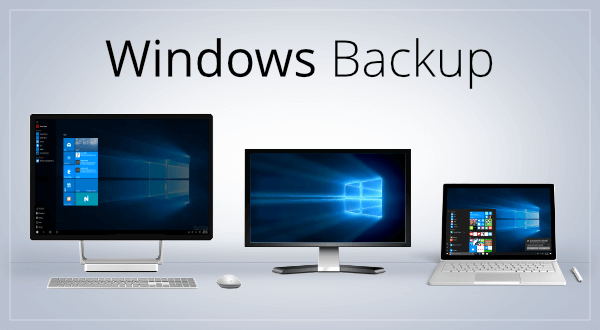 File-level Backup – Supports file backup on all flavors of Windows machines. Also, supports preconfigured folders, such as, My Documents, My Photos, Desktop, Browsers and etc. Microsoft Exchange Server Backup – Supports backup of Microsoft Exchange servers using Exchange Server Plugin. The Microsoft Exchange Server Plugin backup uses the VSS API [Volume Shadow Copy Services] for all Microsoft Exchange Server versions. Vembu allows direct upload without dumping the data locally. Microsoft SharePoint Backup – Vembu provides the site-collection level backup of Microsoft SharePoint Servers. Vembu uses internal SharePoint dump utility to dump the SharePoint site-collection(s) and then uploads the locally dumped file(s) to the BDR backup server. Microsoft Outlook Backup – Vembu backup the emails configured in the Outlook profile. All the emails and rules at folder level are backed up to the BDR backup server. MySQL Database Backups – Vembu supports backup of MySQL database(s) from Windows and Linux machines.